Time to rock out with Iggy! 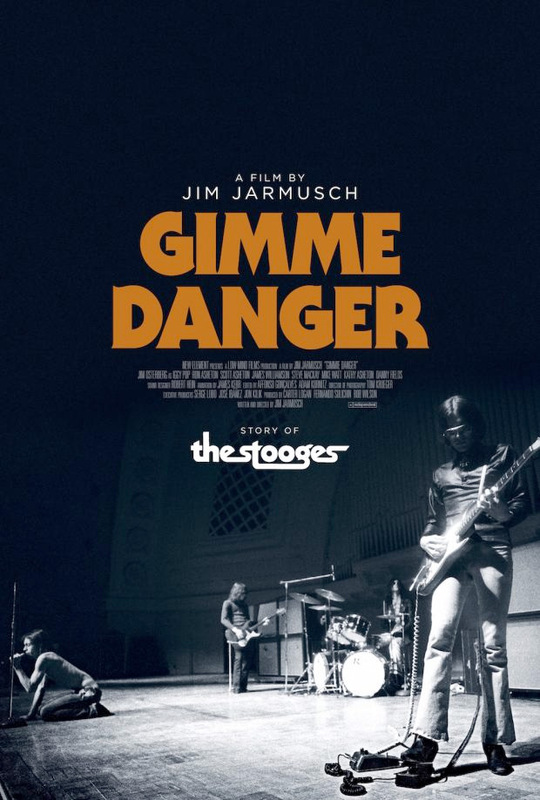 Magnolia Pictures has unveiled a trailer for the documentary Gimme Danger, about the rock band The Stooges, directed by legendary filmmaker Jim Jarmusch. This is the other big film that Jarmusch brought to the Cannes Film Festival this year - he premiered two, the other one being the fictional feature Paterson (one of my favorite films this year). Gimme Danger is a feature doc telling the story of The Stooges, a rock band from Michigan featuring Iggy Pop as the vocalist that launched with a concert in 1976. The doc tells a very extensive history of the band and features a bit of concert footage, as well as interviews and more. Cannes reviews state it's "an exciting testament to the survival power of the Stooges' music, reviled or ignored in its time, then rediscovered by the late 70s punk generation, and now widely celebrated as the work of – as Jarmusch claims at the start – 'the greatest rock and roll band ever.'" Emerging from Ann Arbor, MI amidst a countercultural revolution, The Stooges' powerful and aggressive style of rock-n-roll blew a crater in the musical landscape of the late 1960s. Assaulting audiences with a blend of rock, blues, R&B, and free jazz, the band planted the seeds for what would be called punk and alternative rock in the decades that followed. Jim Jarmusch's new film Gimme Danger chronicles the story of The Stooges, one of the greatest rock-n-roll bands of all time. Gimme Danger presents the context of the Stooges emergence musically, culturally, politically, historically, and relates their adventures and misadventures while charting their inspirations and the reasons behind their initial commercial challenges, as well as their long-lasting legacy. Gimme Danger is directed by filmmaker Jim Jarmusch (of Coffee and Cigarettes, Dead Man, Broken Flowers, The Limits of Control). This first premiered at the Cannes Film Festival. Magnolia opens Gimme Danger in select theaters starting October 28th. Anyone? I almost ejaculated when I read the headline of this article. I've been waiting for this for years. Jarmusch, the only poet of American filmmaking documenting one of the most hard-rocking bands of all time! I am literally drooling. We don't say ejaculated on a public forum/blog. We say "killed millions of potential human beings"
Well up for this! Iggy must have viking blood, I'm unsure how he's still alive.